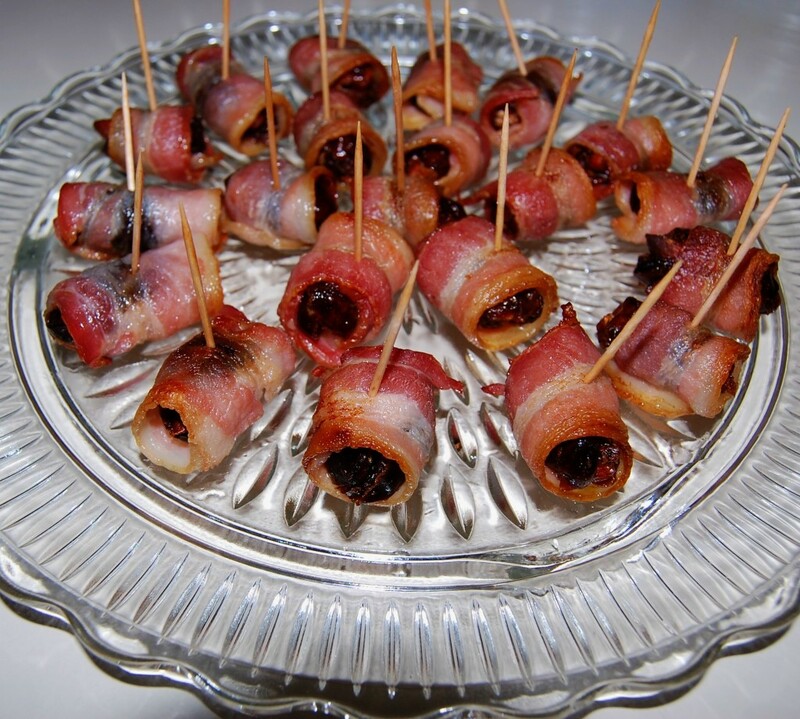 A smokehouse almond, stuffed into a sweet date, wrapped in bacon, then broiled to perfection! Slit the dates. Place one almond inside each date. Cut each strip of bacon into thirds. Wrap the filled dates with bacon, using toothpicks to hold them together. Place on a broiler pan. Broil 5-6 minutes. Remove the pan from the oven. 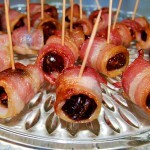 Remove the toothpicks, turn the bacon wrapped dates over and broil another 5-6 minutes, or until bacon is evenly brown and crisp, watch carefully. Reinsert the toothpicks for serving. Cook's Note: It's important to cook on a broiler pan, so that grease drains off while cooking.